The Mauser 98 was the German military's premier bolt-action rifle from WWI through WWII. 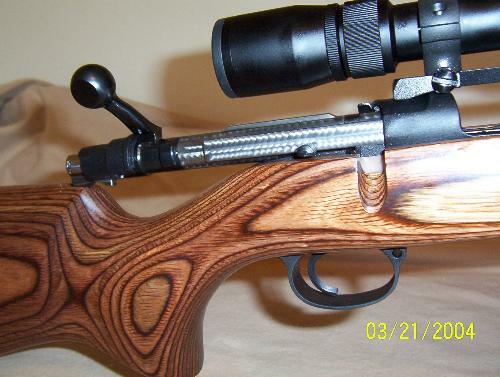 It is an almost perfect machine who's design aspects were included in countless other rifles, including the US Military's 1903 Springfield, and the commercial Remington 700. My custom Mauser utilizes an original German receiver from 1945 and a bolt from a 1909 Argentine-style Mauser. 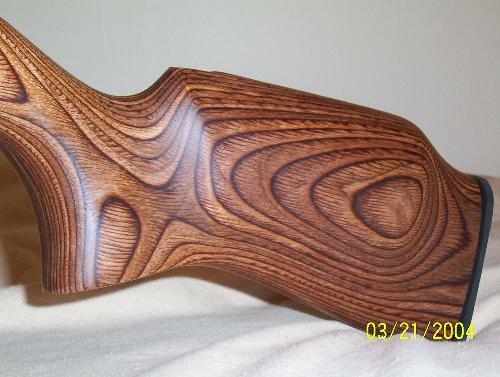 The floorplate, follower, and trigger guard are old originals refinished to look new, and the rest is comprised of high-quality custom components. 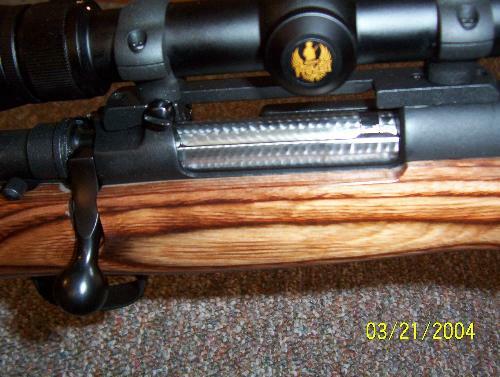 I chose an Adams and Bennett medium-heavy contour barrel chambered in good old American 30-06 Springfield caliber. 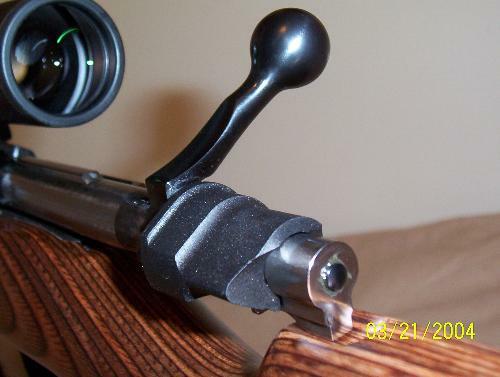 The barrel received a self-cleaning target crown while being built. I used a 3-9x40 Nikon ProStaff scope on a high quality Redfield base with medium height Redfield rings. It has a Timney Featherweight Deluxe trigger with integral side-safety. 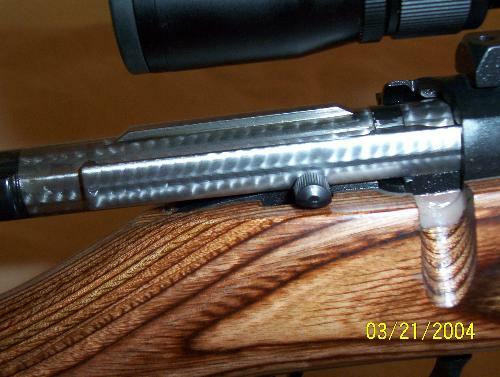 This eliminates the need for the awkward flip safety normally on the back of a Mauser bolt, this choice was especially good due to the low scope used. The trigger is set to a 3-pound pull. 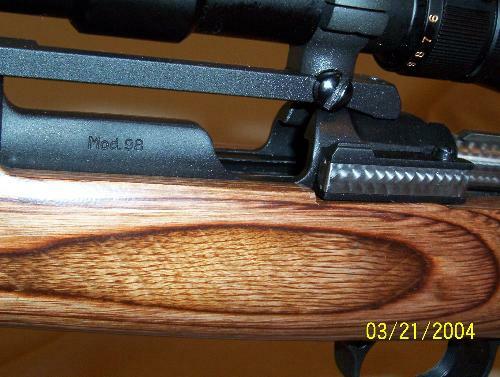 The stock is a custom laminate from Fajen Industries. 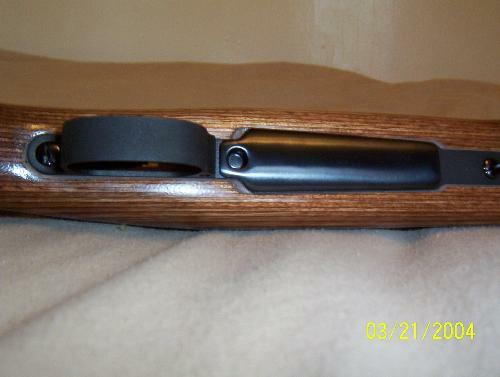 It has a nice fat grip ideal for big hands or long fingers like me, and a high comb which is very comfortable while looking through the scope. I have a quick-detach Caldwell bipod on the front sling-swivel stud. 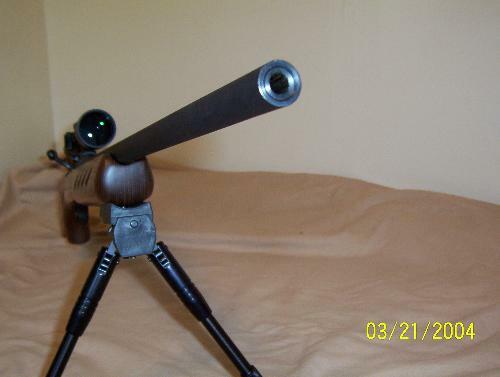 The bipod has spring-loaded suspension for shooting steady and it also pivots for yaw as well so you can adjust yourself to a comfortable position with the rifle without picking the bipod off the table. 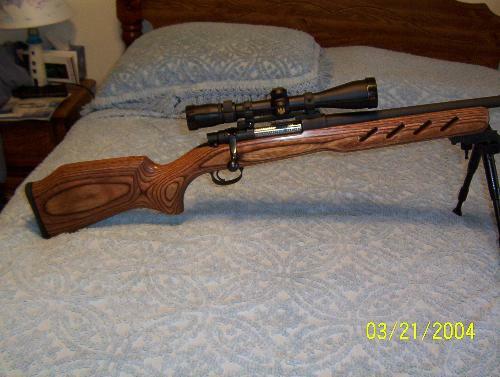 Overall this is a beautiful target rifle, weighing in at a whopping 13 POUNDS!! Notice the custom touches such as the jeweling on the bolt, extractor, and bolt stop cover on the left-hand side of the action. I hope you enjoy the following photos!! Let me know what you think! 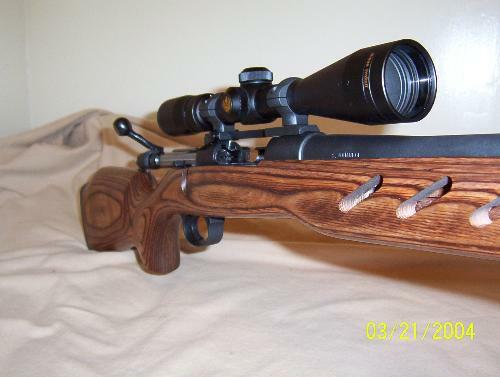 Beween cost of labor and parts there is abut $1,200 invested in this rifle.